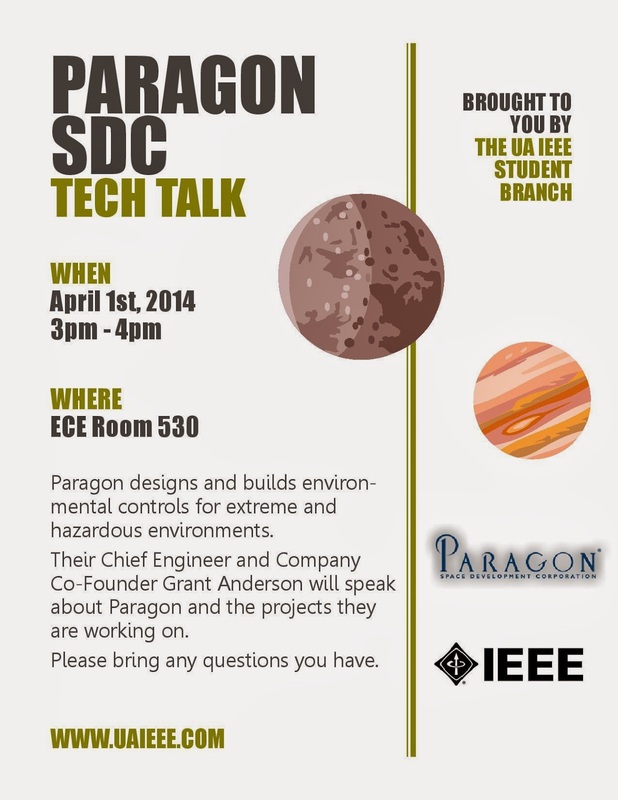 We will be hosting a tech talk by Paragon SDC next Tuesday. Paragon designs and builds life support systems for astronauts and other harsh environment workers. The company's very own Chief Engineer will be speaking about the company and the projects they are working on. I encourage you to bring any questions you might have about their company, their industry, career advice etc. Also refreshments will be provided.